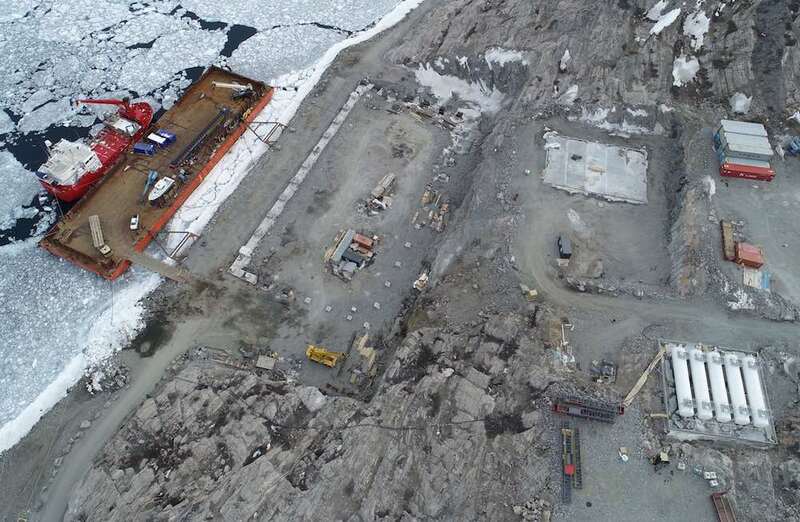 Mining can help grow Greenland’s economy, but what that course looks like will depend on its willingness to make tough political decisions. While fishing still makes up 90 percent of Greenland’s exports, the growth potential lies in resource extraction. As of now, the growth of Greenland is limited to the amount it can sustainably fish, even though climate change will increase the stocks of mackerel, herring, cod and Atlantic bluefin tuna. Still, only focusing on one industry limits growth and makes the economy vulnerable. At the same time, Greenland has significant potential in mining — especially rare earth mining. For the first time in decades, Greenland can reduce its reliance on fishing and create a new and growing industry. But just getting iron ore, uranium, and rare earth from below to above the ground won’t make the difference. The “how” is way more important than the “how much.” And Greenland’s mining future can be good, it can be bad and it might even be ugly. In the good scenario, Greenland becomes the next Norway: The gains of resource extraction get invested in a sovereign wealth fund that provides security for a future when the wealth has to come from other sources than mining. The investment is done with an ethics committee for moral investing. This future requires constraint in current spending by politicians, through cooperation by unions and commitment by Greenland’s citizens. In the bad scenario, Greenland follows Alaska’s model, where an unreliable amount of the resource-generated income gets directly transferred to the citizens. Since the pay-out is politically decided it usually rises in election years. The rest is invested without sustainable development in mind and with pure return on investment at heart — a political choice that is legitimate, but selfish. For this bad scenario, citizens can be selfish, politicians and unions can be opportunistic, but extracting companies and Greenland’s government still need strong anti-corruption and governance measures and politicians need to carry themselves with a bare minimum of decency. And in an ugly future, Greenland goes down the path of Malaysia and Brazil. Both are resource rich countries, where the state-owned resource extractors have led to corruption and societal turmoil. Malaysia’s and Brazil’s political scandals led to corruption charges in the millions and billions, that eroded public trust for the decades to come. But the scandals of the oil companies 1MDB and Petrobras are neither the exception nor the norm. They are the result of decisions in civil society and politics. Responsibility, transparency, and accountability are trained muscles with a society. And if Greenland wants to expand a sovereign wealth fund from metals to oil income, Greenland’s mineral fund is the 5k training course for the oil marathon that is still to come. While mining will lead to $4 billion in additional tax income over the next 15 years, the projected oil revenues will be an order of magnitude higher till 2050. Are Greenlanders willing to sacrifice current income in favor of a prosperous future? This is all the more difficult when keeping in mind the reality of high unemployment, dependency on Denmark’s block grant and a per capita GDP that lies 40 percent below Denmark’s. It will be hard. But if Greenland decides to invest responsibly instead of consuming, mining can lead to a prosperous future. The essentials that matter are not mining and fishing. It would be foolish to think it is just the economy. It’s governance and responsibility. Kai Dittmann is studying Public Administration as a John F. Kennedy Fellow at the Harvard Kennedy School. He worked previously as the chief of staff for a member of parliament in the German Bundestag. This piece is one of a series of op-eds written by students of the Arctic Innovators Course at the Harvard Kennedy School’s Arctic Initiative. You can read the full series on this site. The views expressed here are the writer’s and are not necessarily endorsed by the Arctic Initiative or ArcticToday, which welcomes a broad range of viewpoints. To submit a piece for consideration, email commentary (at) arctictoday.com.